Thank you for your interest in Murder By the Book’s online Newsletter! The newsletter is a labor of love sent every other month where I list all of the mystery books coming out over the coming couple months, and the important news in the mystery book world. It costs a mere $4.99 per year! The best news – as a paid subscriber you will receive $6.00 off of your 1st order of $15.00 or more before tax and shipping, if any. More good news – in addition to the bimonthly Newsletter, you will receive frequent updates, including reviews of books that I liked, as well as information about events and anything interesting in the mystery book world that I run across – and I run across a lot on a regular basis. 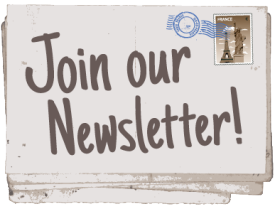 If you want to view an example of the Newsletter before you purchase, just click on one of the links below of newsletters that we have provided for the past 5 years. You can pay easily by clicking this link now – you don’t need a Paypal account. You can just pay with your credit card if you so desire. You may also call me directly with credit card information at 303-871-9401. Here is the list of online mystery book newsletters that we have provided for years. Read our mystery book newsletters, pick your favorite mystery books, and call us with your order. You can join our mystery books newsletter by clicking the link above.